Perfect for any summer wedding or a day around town, the Born Salvia will quickly become your summer favorite. 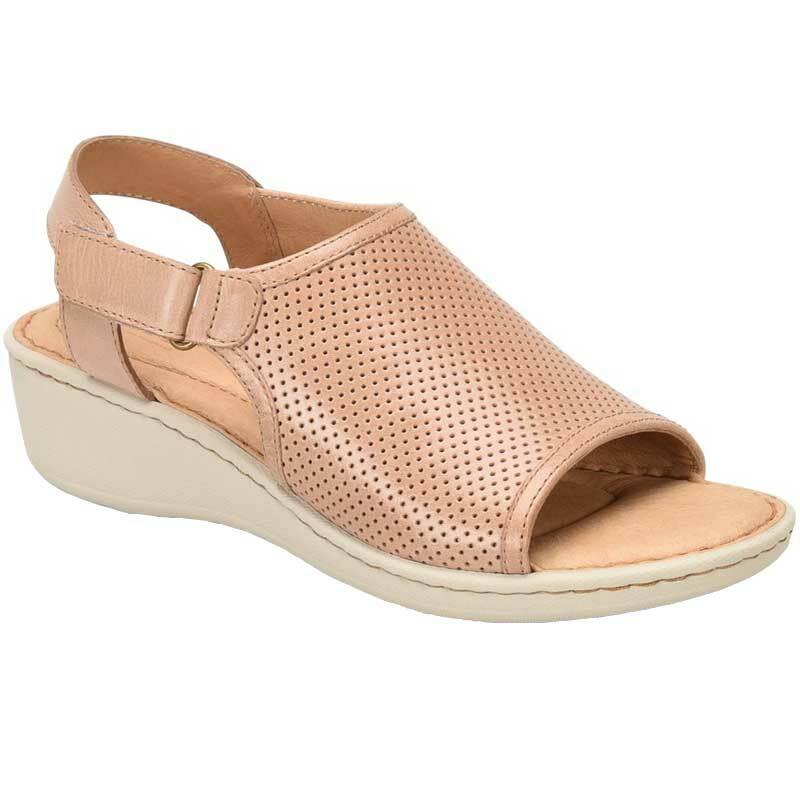 This sport-inspired wedge has an upper made of perforated full grain leather with an adjustable strap with hook and loop closure. A leather covered footbed and a leather lining provide interior comfort and Born’s Opanka construction makes the Salvia really flexible. The EVA outsole features a fun flower print and is really lightweight making it perfect for the warmer days. Summer styling just got easy with the Born Salvia sport wedge.